We present you electronic library of tuvinology and publications that tuvinologists could find useful. This is both directory of texts and a list of publications including ones with hyperlinks to other sites. Please note that we in library have a section of special publications of “The New Research of Tuva” magazine. Here we will place electronic publications of manuscripts, electronic copies of printed publications with small circulation i.e. in Kyzyl that are not available to readers outside the region. This form was offered by some of our colleagues and we decided to support this initiative. All the texts are provided by the authors themselves or their authorized representatives and prepared for publication adhering all the copyright laws. The directory is quite small now and is common for works in all languages. 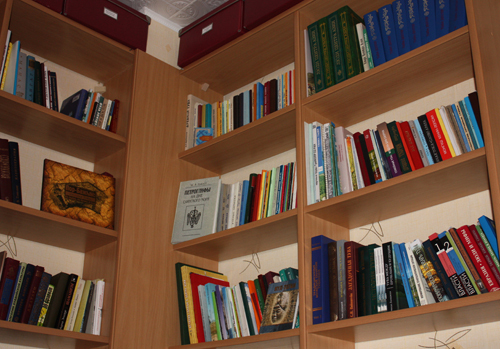 Mainly library consists of publications in Russian. Hyperlinks to sites are made for periodics that are capable of scientific editorship and prepublication review. For reasons we cannot affect links might be dead (if site is down or publication has moved). Please, report us about broken links. use the texts for individual work only and invoke the publications accurately citing the sources. The work of forming the electronic library of tuvinology is just at the beginning of its way. With increase of the library its structure will probably change. We ask all the colleagues to participate in filling the library: please, send us your texts (we can consider different ways of placing in directory) or links to electronic publications. We thank all who has already sent us their works. Hope our library will be useful to you. You can send your comments or proposes to e-mail.